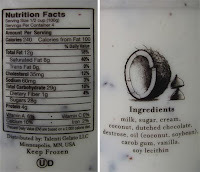 [By Nick, Exclusive is new for 2015] Seeing as I'm a perfectionist, I had planned to review Talenti's Caribbean Coconut awhile ago. After picking it up and trying it, I learned that Target was getting an exclusive Coconut Chocolate Chip flavor. After months of searching, I finally got my hands on that as well. Let's kill two birds with one stone and review both, starting with the original. 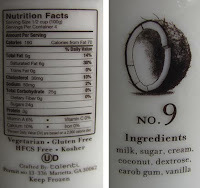 Yes, we all know I'm not a fan of coconut, especially when coconut flesh is involved. Like I said, I'm a perfectionist and I want to try as many flavors of frozen desserts as possible. Surprisingly, this is a great gelato. 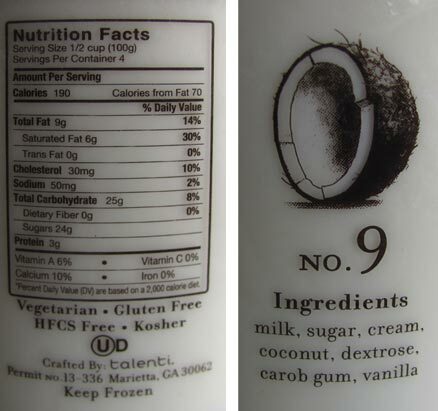 The coconut flavor isn't overpowering but mild and very sweet. The addition of vanilla keeps the coconut in check and makes this a very enjoyable base. 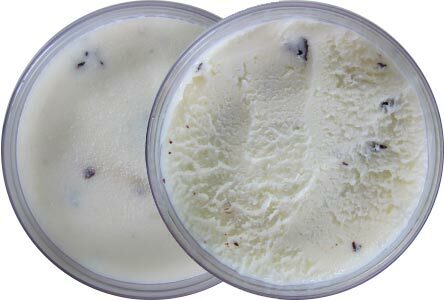 The texture is the same old quality you've all come to expect from Talenti. 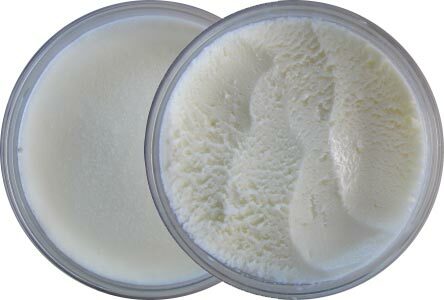 Smooth, silky, creamy greatness. The strands of coconut are noticeable but not too bad. Sure, some strands are fleshier than others which is a major turn off but those are few and far between. I was actually surprised how much I enjoyed this gelato and when I had it originally, I wonder what the addition of their chocolate chips would add to the flavor because it could be on the same level as Graeter's Coconut Chocolate Chip with some of their trademark stracciettela chips throughout. And bam, the Target exclusive was announced. It was like the gelato gods had read my mind. Admittedly, this is a pretty uninspired exclusive flavor. It's like when they released Hazelnut Chocolate Chip this year after having the Hazelnut exclusive in 2014. Adding chocolate isn't groundbreaking, Talenti. That said, there's a lot of potential here after trying the original. Unsurprisingly, this tastes exactly like the Caribbean flavor which is a good and bad thing. Good thing because that flavor is still a good one. Bad because the amount of chocolate chips I encountered was slim to none. 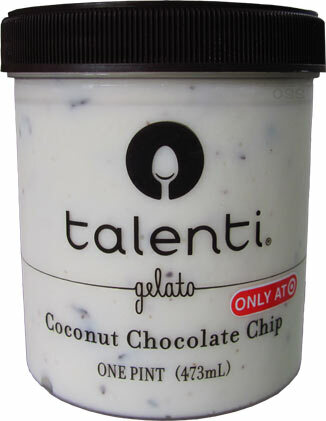 I'm so used to Talenti loading their pints with chocolate that this flavor was a major let down. There was maybe about 1/5 as much chocolate as normal and it made little to no impact on the flavor. When you could get a good amount of chocolate, it was an excellent combo. It had almost a mounds quality to it. Sadly, those bites didn't happen much. This flavor makes me feel like someone accidentally spilled some chocolate into the original and they just rolled with it. If I was to buy one of these again, I'd save myself the trip to Target and just add chocolate to the readily available Caribbean Coconut. Verdict? Go original, it's not worth the trip to Target for the other. Buy Again? Possibly the original if I'm craving coconut, not the Target exclusive. You must have gotten a bad batch - I have had it twice and both pints had a lot of chocolate chips. I love this flavor! I loved it too! I don't like overly sweet stuff though. This is my favorite flavor yet! When I first tried Talenti many years ago, I didn't care for it. However, after eating frozen dairy desserts for so long, I now truly appreciate Talenti and the silky and smooth texture of the gelato they make. 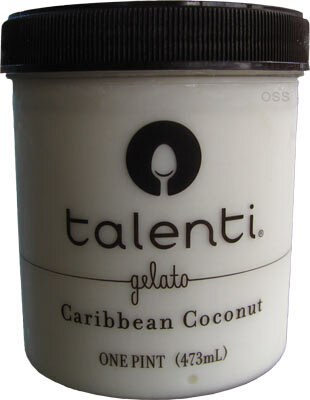 Your review for the Caribbean Coconut perfectly describes this gelato. I tend to have a difference of opinion than reviewers on this site, but not this time. You nailed it.